Our plastic liners are manufactured to any size from recycled or virgin polyester scrim reinforced PVC. These UV stabilized PVC liners with thicknesses of 400, 420, 570, 680, and 800 micron offer equivalent strengths and are a good alternative to 1mm and 2mm HDPE liners. CLICK HERE: For HDPE/ PVC strength comparative chart. 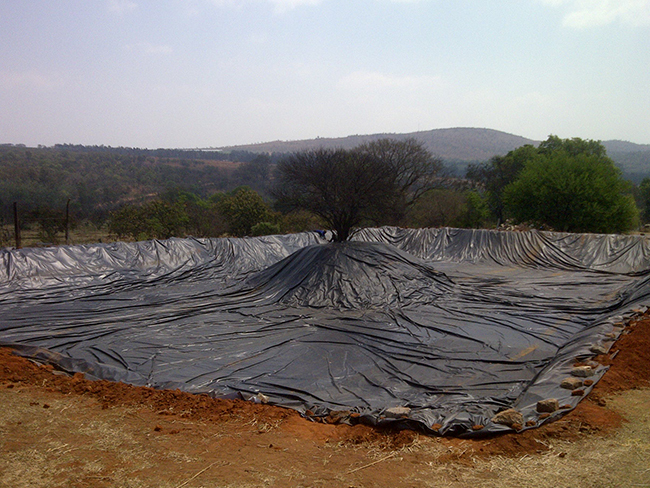 These liners are readily available for water proofing of earth dams loosing water. 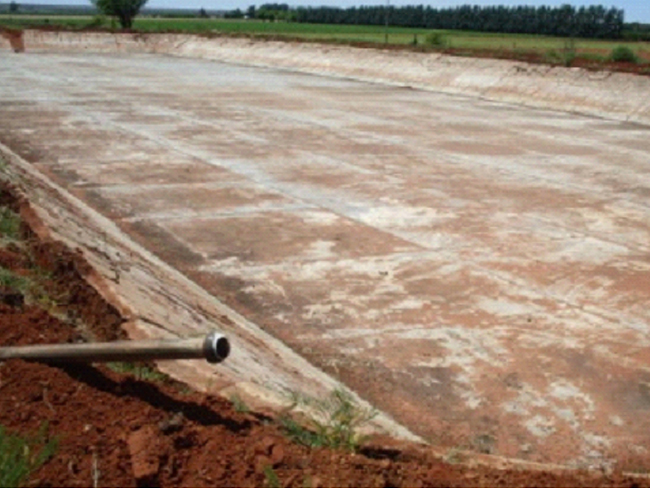 Some dams may require a pre-liner or geo membrane as an under liner if the dam surface is a little stony or rough. 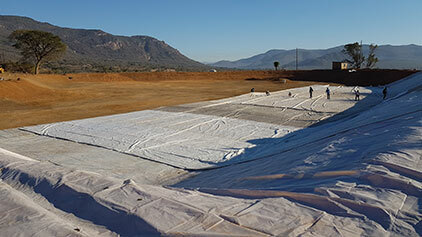 A pre liner acts as a replacement for a thin layer of sand and this protects the liner from beneath from any possible damage. We offer a recycled 320 micron PVC mesh (net) or recycled 400 micron reinforced PVC as a cost effective method of doing this. Pre Liners are also required where a dam may require periodic cleaning and thus have people walking on the liner. Please note that the pre liner cannot be used as a liner as it is a perforated material. 400 micron – Offered in both virgin and recycled materials. 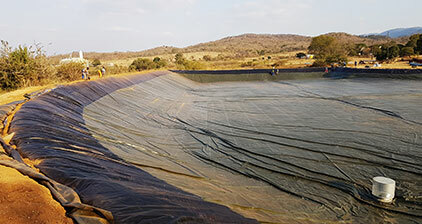 Suitable for most large earth dams and domestic pond liner applications i.e. irrigation dams, duck ponds, koi ponds and dams purely for aesthetic value. This is our most popular liner due to it being the most cost effective option on the market. A maximum DIY size of 2000 m2 is possible. Dams larger than this will require several panels to be made up and these panels will need to be installed on site by our installation team. 420 & 570 micron – Offered as virgin materials. 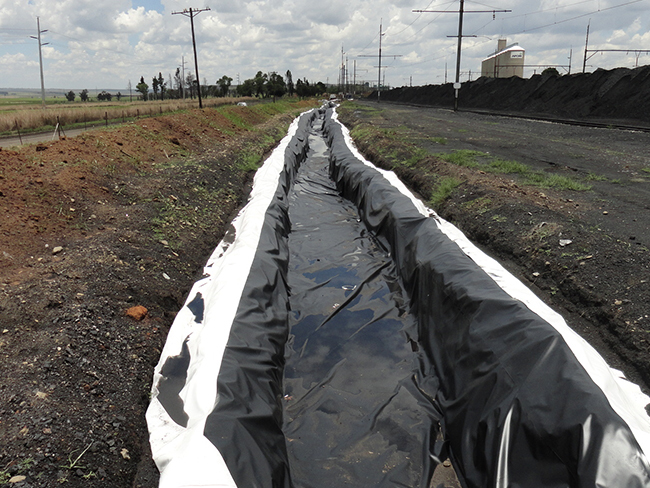 Suitable for leaking old pre concreted dams and ponds as well as large earth dams i.e. Irrigation dams, aqua culture, fish farming, golf courses etc. Maximum DIY size of approximately 1500 m2 is possible. Dams larger than this will require factory installation on site. 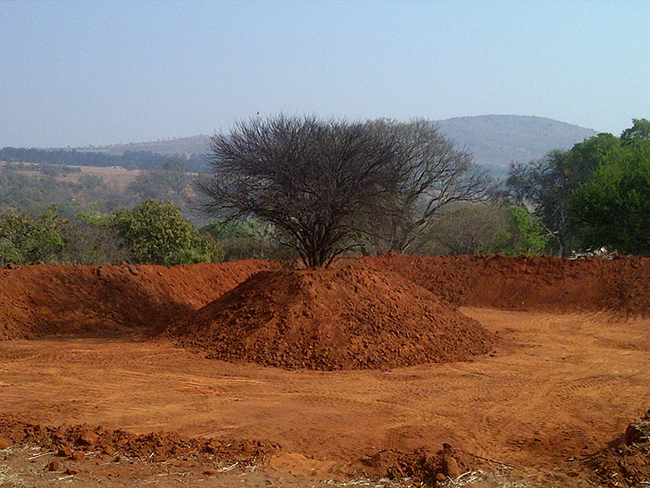 680 & 800 micron – Suitable for earth dams and leaking / old pre concreted dams on game farms, mines and commercial fishing operations, water canals and larger dams where farm animals or game may enter. Maximum DIY installation of approximately 1250m2 is possible. Dams larger than this will require factory installation on site. 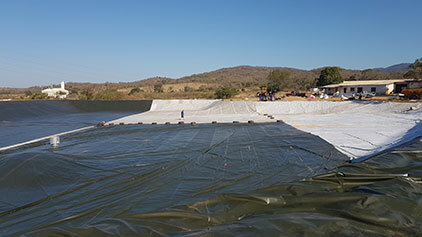 A 320 micron PVC mesh (net) is a specialized reinforced PVC mesh that is welded into place on the dams walls to protect the liner from extended UV damage. This is especially useful on irrigation dams where the water levels are continually fluctuating, leaving the walls of the dams exposed to the suns UV rays on a daily basis or for an extended period of time. All our liners can be made up to fit any size dam. This is done by making large panels at our factory, these panels are then joined on site by using specialized machinery which welds the materials together to form a water tight seal/ seam or by using our specialized “Dam Good Glue” if a DIY solution is desired to save costs.